Along the way, we encountered several problems with using Synechocystis PCC sp. 6803 as a model organism, so we targeted some of our modification at making it easier to modify. Redox mediators are compounds that can exist in oxidised and reduced states, enabling them to transport electrons and deposit them. Lipid soluble redox mediators are able to transfer electrons across the lipid bilayer by taking electrons in on one side of the membrane and releasing them on the other side. 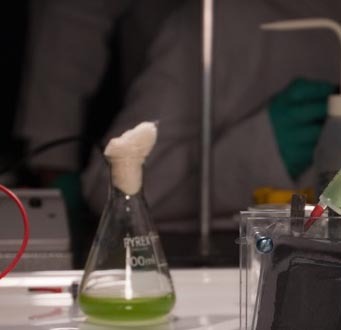 Adding lipid soluble redox mediators have been shown to increase the efficiency, so we looked to engineer cyanobacteria to produce their own lipid soluble mediators in large enough quantities to increase exoelectrogenesis efficiency themselves. The redox mediators we looked at are quinones, phenazines and riboflavin. Quinones require a very complicated metabolic pathway for their synthesis and the synthesis of phenazines has eluded iGEM teams in the past. However we were able to make significant headway in our attempts to modify Synechocystis PCC sp. 6803 to produce Riboflavin this year. Another way to enable the transfer of electrons from the general metabolism of the cell to the outside is to alter the membrane of the cell by adding proteins that allow this electron transfer to take place. The two that we looked at in some detail are C type cytochromes and porins. 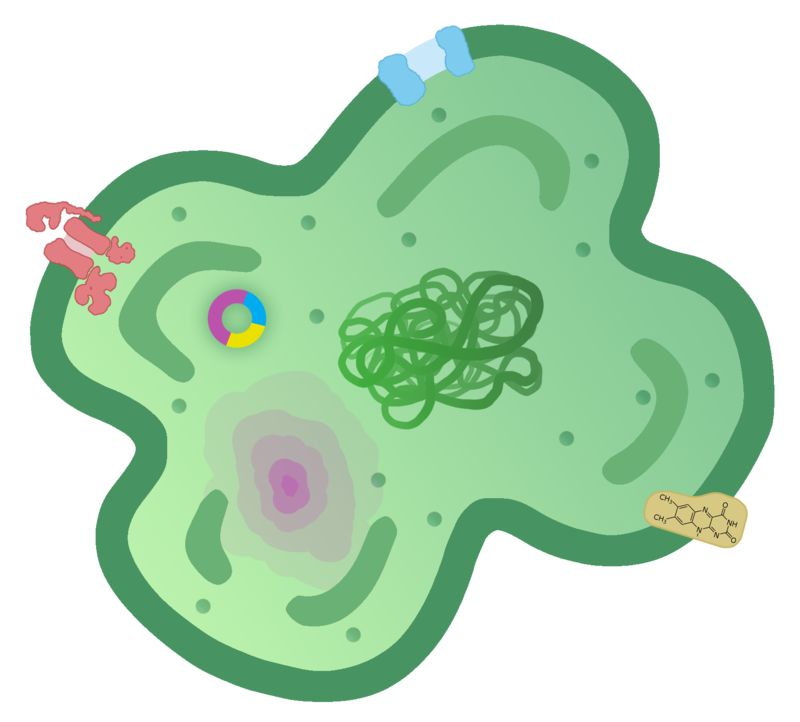 However Cytochromes, as well as being part of an extensive operon themselves, require several other to add the heme groups necessary for their function, and we deemed it too difficult to attempt to overproduce them. On the other hand a part for our porin OprF is available through the registry so we made significant advances using this porin. The three main problems we encountered in using Synechocystis PCC sp. 6803 were its slow growth rate, its wildly varying ploidy, and the lack of available Biobricks for use with it as a model organism. We attempted to tackle all of these problems alongside improving the electron export. We had huge success synthesising and expressing the bicarbonate transporter CmpA, which markedly improved the growth rate of the bacteria. We also were able to characterize the RFP AmilCP in Synechocystis PCC sp. 6803 and to conclude that in fact it is not a useful reporter protein for this model organism. We found the replicative plasmid pDF-lac and used it to circumvent the polyploidy issues with great success. We used the promoter BBa_J23119, a consensus sequence in E.coli. We hoped that it would be a very strong promoter when binding to the similar (but not identical) RNA polymerase in Synechocystis. However, whilst we observed expected results in E.coli, we were not able to characterize this promoter in Synechocystis due to the presence of a promoter region already present in our replicative plasmid (the genes were expressed regardless of the strength of the promoter).